I am a basket of nerves to be honest,. I appreciate all prayers that you can give, I have gotten so many fb msgs, phone calls, instagram messages, texts etc tonight, I feel Loved. We are hoping something is found and we can move forward... having constant pain for the last 9 months isn't how I want to spend the next 9 months of my life. Thank you for your well wishes and prayers, I will update as soon as I can. You got it! Thoughts, prayers and well-wishes going your way! Constant pain is no fun to live with. Love and prayers for you tomorrow. I hope you get some answers- and relief. Wish you all the best and you will be OK soon! I can't imagine the anxiety...I missed the reason why you are getting surgery...but I remember going in for my c-section (Which I absolutely did not want to have) and I was a basket case!!!!! Good luck and my prayers are with you! 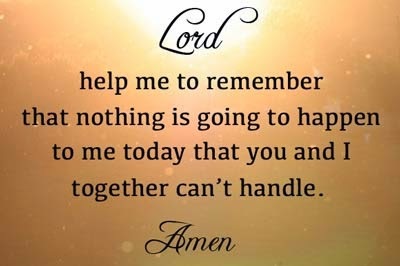 Sending prayers and positive thoughts your way. good luck!